This darling Shabby Chic Dresser Drawer is a perfect photo prop for any sweet little baby. 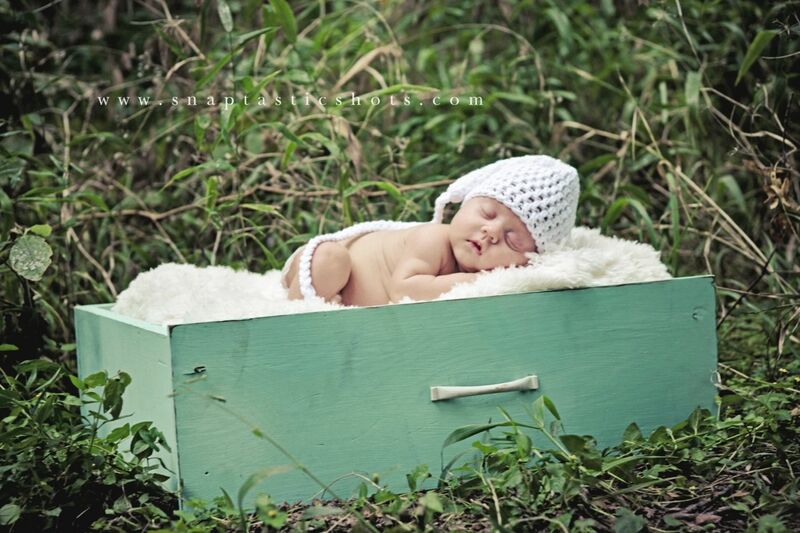 Newborn Photographers this is a must have for your prop collection. This drawer comes in a tiffany blue with a worn look and a white handle but can be painted any color you would like. This Pint Size Prop is perfect for indoor or outdoor sessions. If your an animal LOVER this would also make a super cute bed for your furry little friend. I ship all of my products worldwide so if you are outside of the US simply send me your full mailing address and I will send you a shipping quote.